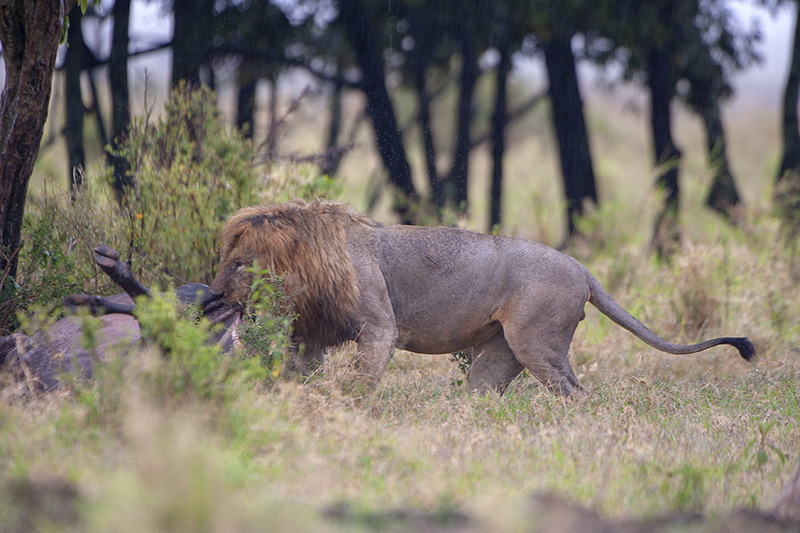 Before we headed out for a safari in Maasai Mara, Emannuel our driver and naturalist, told us that he had got a tip-off that a couple of Lions had brought down a Cape Buffalo near one of the gates of the Maasai Mara National Park. 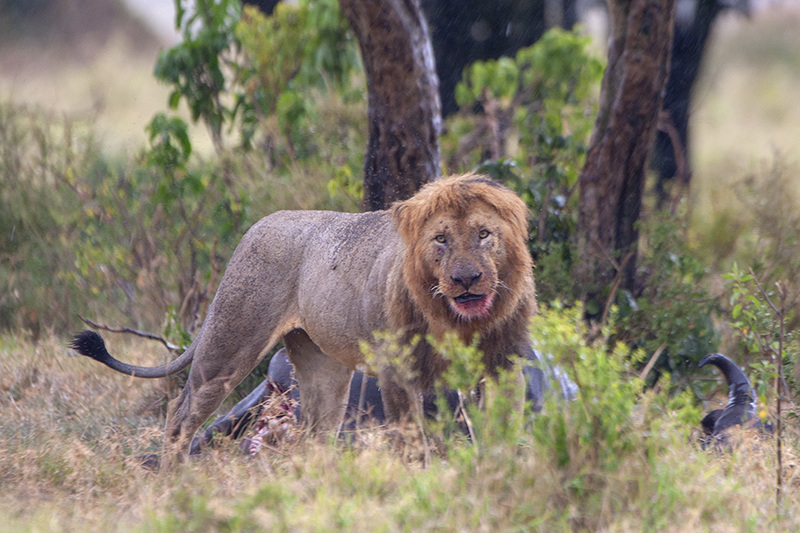 It was a long drive to get to that location, but when we did, we were treated to an amazing wildlife experience. 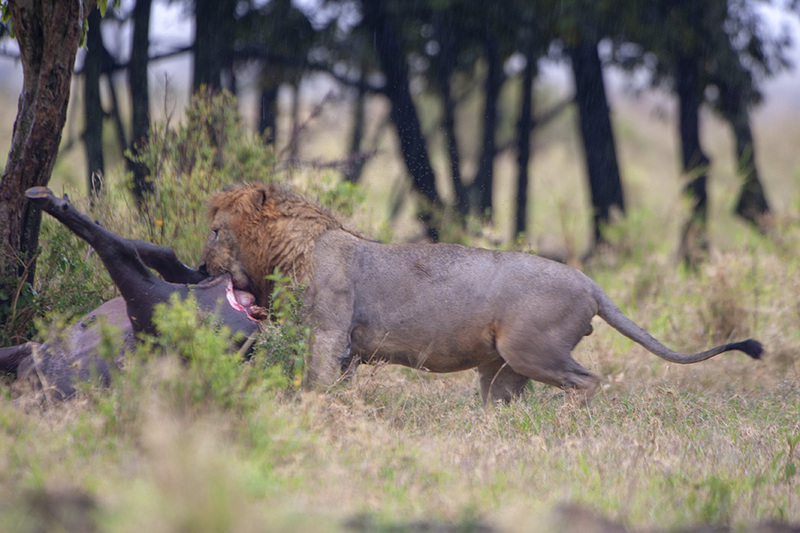 We settled down to observe the Lions. 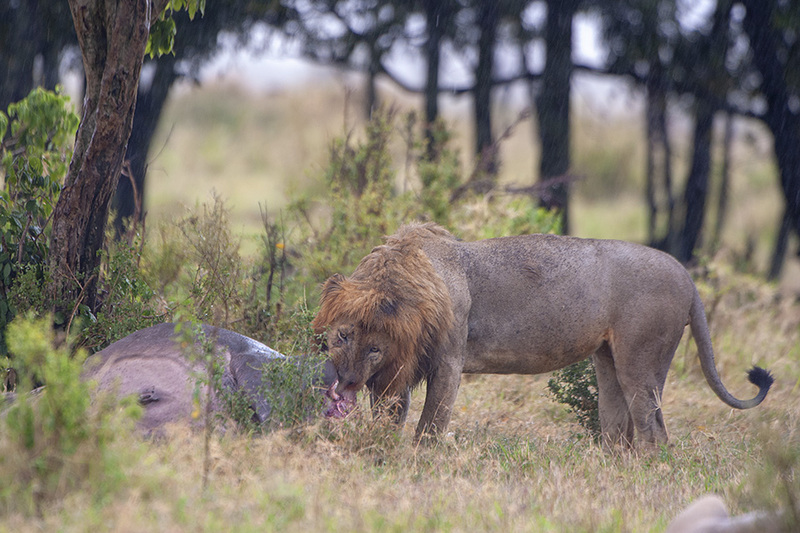 One Lion was feeding on the kill, while the other kept watch. 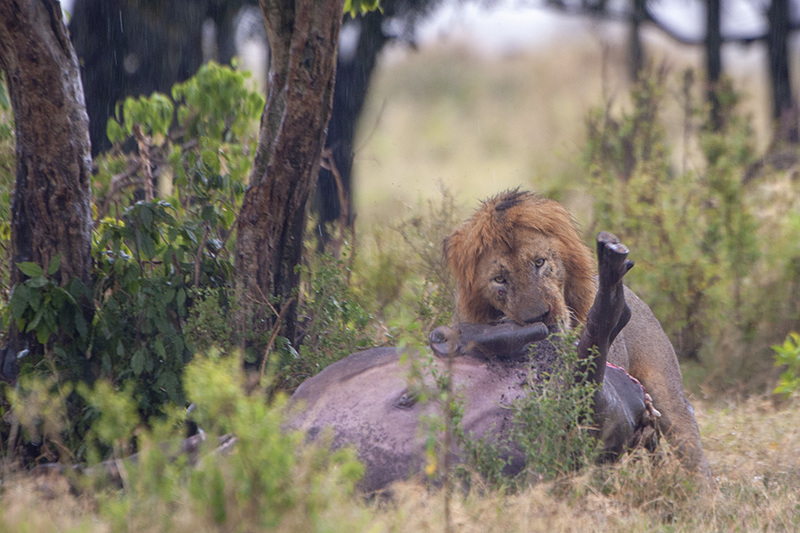 The Lion that was eating kept pulling the Buffalo carcass around, to find convenient feeding positions making up for a great viewing experience. Here are a series of images from that experience.